Oooh how we love these and want to own a pair ASAP. 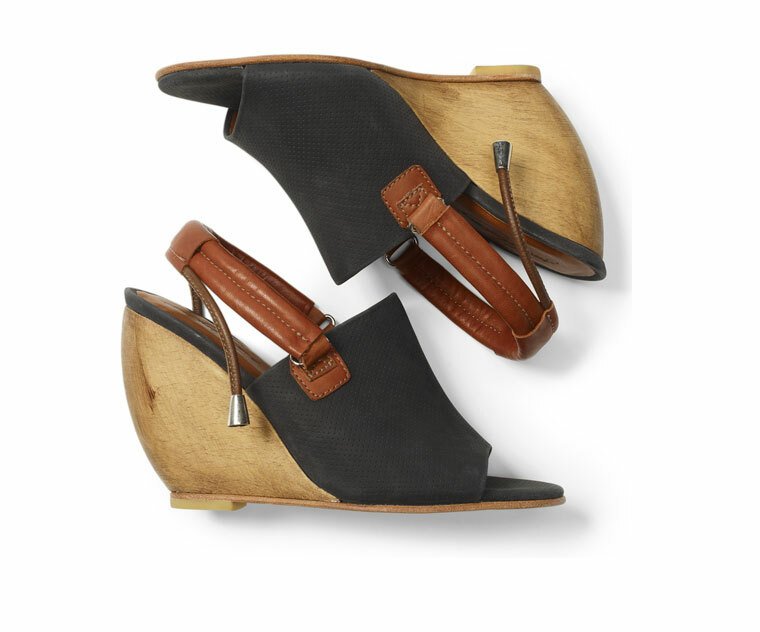 New York fashion house Rachel Comey wedge slingbacks strike a great balance between natural comfort and edgy detailing. Navy blue and cognac leather accents with a solid wood heel and metal accessories, these shoes will shine through the season and are guaranteed to set you apart. We found these gems through the always fashion forward Club Monaco.